The Tour's Asian swing is in the books, and now it heads to Las Vegas for the Shriners Hospital for Children Open at TPC Summerlin. Golf fans will be treated to a field that includes Jordan Spieth, Bryson DeChambeau, and Rickie Fowler. Currently ranked No. 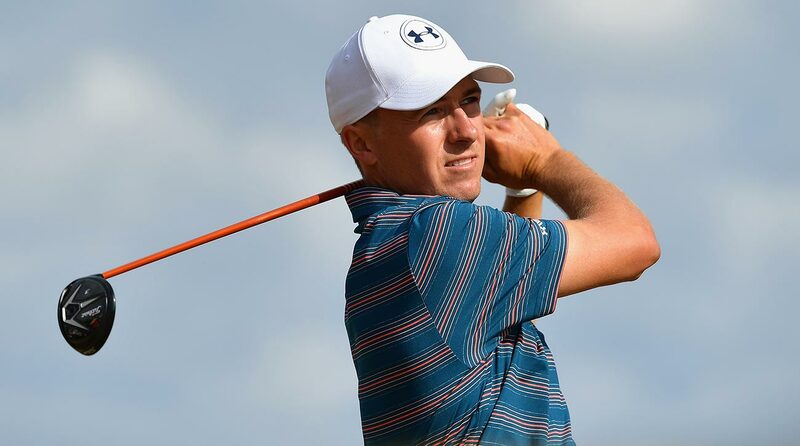 11 in the world, Spieth will begin his opening round from the 10th tee at 10:30 a.m ET on Thursday morning alongside last week's winner, Cameron Champ, and newly-minted PGA Tour Rookie of the Year Aaron Wise. The trio will start their second round from the first hole at 3:05 p.m. ET on Friday afternoon. DeChambeau, who is currently ranked No. 7 in the world, will tee off from the 10th hole alongside the event's defending champion, Patrick Cantlay, and Kevin Tway at 10:40 a.m ET on Thursday morning. The trio will start their second round on the front nine at 3:15 p.m. ET on Friday afternoon. World No. 9 Fowler, who is grouped with Webb Simpson and Matt Kuchar, will begin at 3:05 p.m. ET on Thursday afternoon. The trio will start their second round on the 10th tee at 10:30 a.m. ET Friday. Tony Finau, Kevin Na, and Ryan Moore will tee off from the first hole at 3:15 p.m. ET on Thursday afternoon and from the 10th hole at 10:40 a.m. ET on Friday morning. For complete tee times, click here. Jordan Spieth is one of the headline players in the field at the Shriners Hospital for Children Open this weekend.